Young people are striking to demand bold action to keep fossil fuels in the ground and stop climate breakdown. Disrupt Fossil Finance Action Trainings are our response to this call. The urgency of the climate breakdown is now clearer than ever before – and it requires action that is equally urgent and commesurate to the threat. We need to build a bold political movement ready to confront the institutions driving climate breakdown. The urgency of the climate crisis demands that we escalate our organising efforts quickly, and now. Young people are already leading the way. With our support in identifying key institutional targets, demands and forms of action we can help set the growing climate movement up for success. Greta Thunberg: “I want you to act as if the house was on fire”. Photo by the Guardian. Research shows that social movements win when a relatively small percentage of the population gets actively organised on a regular basis. That is why we will train hundreds of new climate defenders with the organising skills needed to effectively disrupt key institutions driving the crisis. Your involvement can make a big difference. Your ability to bring in your friends matters. To change the system, we need to be big, and loud, and bold. There are still those who benefit from wrecking the climate. Be it financial institutions, political offices or the fossil fuel companies themselves – those who support fossil fuel development need to be confronted and stopped. Through bold, creative actions and mobilisations we’ll grab the world’s attention and inspire yet more new people to step up, get active and force a political change of course. We will do this by organising a series of Disrupt Fossil Finance Action Trainings to resist and challenge the power of the fossil fuel industry. This is where you can get involved. 2020 We Rise – ongoing trainings, distributed mobilisations and mass direct actions at key fossil fuel infrastructure sites and points of political power in Europe. Non-proliferation of fossil fuels. An immediate ban on any new permits for new fossil fuel projects and expansion of existing projects (including exploration, extraction, transportation and power). Cut off the money flows. Immediate introduction of regulation to stop public and private financial flows both to and from fossil fuel companies and projects. We’re resisting, and painting a positive vision of the future. We can look to youth organising as part of the Sunrise movement in the US, and their demands for a Green New Deal for inspiration. A 10 year transitional plan that delivers climate and economic justice for those most impacted and 100% renewable just energy for all is achievable. If you’re ready to take action, great. Whether you’re ready for civil disobedience, want to write social media posts, support in legal teams, send out press releases or cook food, we need you to get actively involved, and we have a role for you to play. All these roles are essential to creating the change we need. We’re now recruiting for the first action training in a location around Luxembourg, 2-5 May. Let us know if you want to be involved and secure your place now, by applying here. At the first training we will take action together, learn collectively from the experience and decide on a follow up date to organise distributed actions in our communities. We will learn about the finance industry; how it supports fossil fuel development both at home and abroad; and how we can effectively support the communities most impacted by fossil fuel development. We will discuss how we can effectively and collectively force them to change, and the mobilisation plan to get there fast. The science is clear and the injustice of a breaking climate is already hitting hard those least to blame. In order to stop the climate crisis from becoming an absolute calamity, we need to stop new fossil fuel development in its tracks and stimulate a rapid transition to just and equitable renewable energy solutions. To have any chance of hitting a 1.5C target (a target that gives us yet some chance of achieving justice for impacted communities) NO NEW FOSSIL FUEL INFRASTRUCTURE can be built. 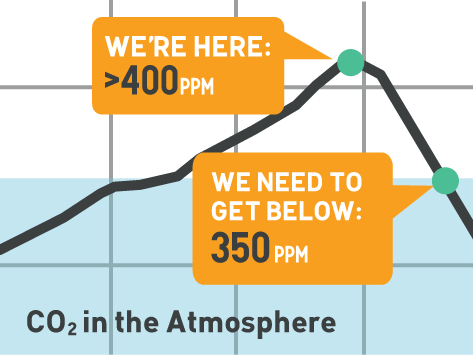 Every decade from now on must see at least a 50% reduction in CO2 emissions. Without the support of both public and private financial institutions it is almost impossible for new fossil fuel projects to go ahead, that’s why in order to tackle the climate crisis we must shift the economics that are driving it, and challenge the money flowing into the fossil industry. By organising in our communities, targeting key political and financial institutions, we can build momentum for mass mobilisations and power to force a political change of course. Each time we address banks, local political constituency offices, town halls, or people holding economic power, we’ll be making the same clear demands: no new fossil fuels. No money for fossil fuel development.